It was a coincidence more than anything but organizers of SheBiz, an event to encourage young women to embark on careers in business, science and technology, unveiled their lineup of participants for Vancouver's stop on Persons Day, the anniversary of the historic decision including women in the legal definition of "persons." The five women of the historic "Persons" case, NellieMcLung, Emily Murphy, Louise McKinney, Irene Parlby and Henrietta Muir Edwards, embarked on their arduous campaign in 1927, which paved the way for women to be appointed to Canada's senate and increased participation in public life. And in the theme of equality that they inspired, SheBiz organizers listed the speakers and panel members for their event set for Nov. 3 at Crofton House School in Vancouver. 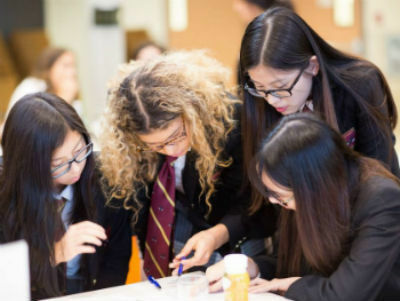 That day will bring together some 300 Grade 10 and 11 students from about 20 schools with mentors from business and science to encourage young women to pursue careers in business and the STEM (science, technology, engineering and math) fields, not just excel at the subjects in school.